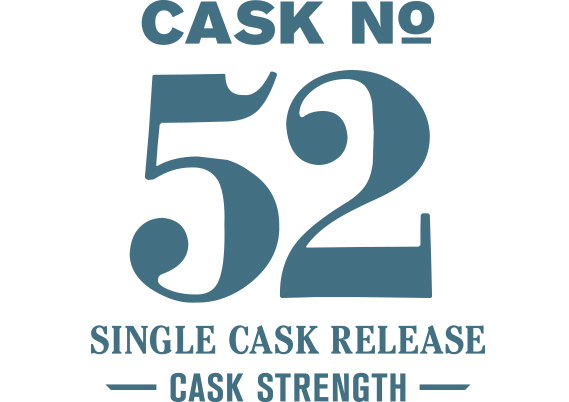 In contrast to Cask #29, Cask #52 is decidedly new world in its design. This is a grain-forward whiskey that highlights the interplay between the rich character of our signature 5-malt grain bill and the big flavors of a fresh and flavorful new American oak cask. On the nose sweet oak wood stands tall with chocolate wafer crackers, apple cobbler and graham cracker pie crust joining it. The initial palate at cask strength is floral and woody, like an orchard in spring. The full richness of this whiskey comes with dilution. The nose is reminiscent of Butterfinger bars and red fruits. The oak, while still present, has diminished leaving us with balanced flavors on the palate, most notably with chocolate mousse, raspberry cheesecake and peanut butter.